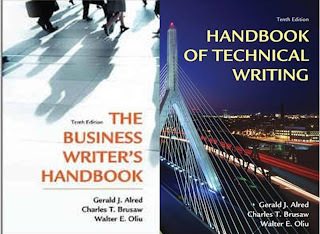 The Business Writer's Handbook or The Handbook of Technical Writing is usually the first book I recommend to business people who ask about a good writer's reference. Both books are written by Gerald J. Alred, Charles T. Brusaw, and Walter E. Oliu, published by St. Martin's Press, and in their tenth edition as of November 2011. No need to buy both books, as most of their entries are identical, an understandable publisher's ploy to get either the employees who believe themselves to be business writers or those who consider themselves technical writers. 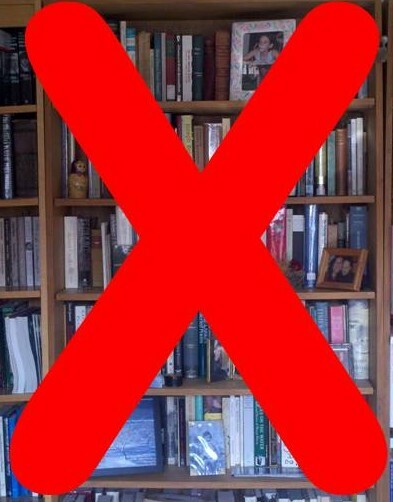 Regardless of how you identify yourself, you will find either book helpful, so buy the one with the best price. They are available as hardcover, softcover, or spiral-bound, the last being my preferred because the book freely stays in the desired opened position. All 400 entries in the handbooks appear in alphabetical order, making for quick reference. The descriptions and examples of terms capture the essence of the entries. Among the numerous writing models with detailed explanations are abstracts, executive summaries, feasibility reports, investigative reports, job application letters, resumes, proposals, policies and procedures, and meeting minutes. Every entry links to specific moments of the writing process. Many tips on writing clearly and concisely are included. Basic rules for correct grammar, punctuation, capitalization, and abbreviation are easy to find. 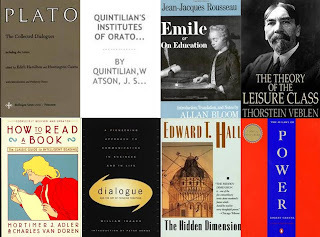 While I have been using the book since its first edition in 1982, each subsequent edition expanded to account for emerging issues like email, web-based writing, and English as a second language, as well as contracted to make the entries more concise. More than thirty years after their first edition, the books remain standard references for business and technical writers. Standing before an intelligent, focused, and enthusiastic audience to talk about what you know is enough of a reward. But speaking to four consecutive sessions, each with 75 teenagers who are eager to learn and appreciative of the speaker's presence, is a privilege. I was fortunate to experience that feeling as a contributing presenter at the Hershey Lodge and Convention Center in Hershey, Pennsylvania, on April 15, when 4,000 high school students convened as members of the Pennsylvania Chapter of the Future Business Leaders of America for their State Leadership Conference. I presented two workshops each on Time Management Mastery and Writing with Respect on behalf of Operation Enterprise the youth outreach division of the American Management Association. The week before, on April 8, I had an equally fortuitous speaking engagement at the Operation Enterprise New York City headquarters, where I presented six sessions of Interviewing Skills to rooms of 40 high school students who are members of the New York City Academies, member organizations of the National Academy Foundation. If the 500 young men and women I met in Hershey and Manhattan are any indication of the USA's youth, then I am beyond optimistic about the country's future. What I saw on those two days without exception was a brilliant reflection of all the FBLA and NAF do. 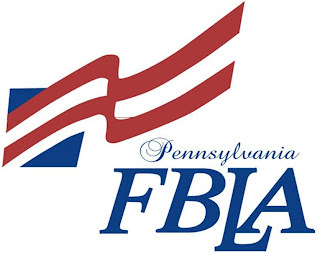 Congratulations, PA FBLA and NYC Academies, and all the best for your success! A Geoffrey James article in the "Sales Source" column of Inc. lists his top ten motivational books. I was not surprised to find there classics like Dale Carnegie's How to Win Friends and Influence People (1936), Napoleon Hill's Think and Grow Rich (1937), Norman Vincent Peale's The Power of Positive Thinking (1952), and Stephen R. Covey's The Seven Habits of Highly Effective People (1989). They offer especially timeless advice for people moving from academic life to the business world, as they focus on practical ideas that students will not learn in the schoolroom. 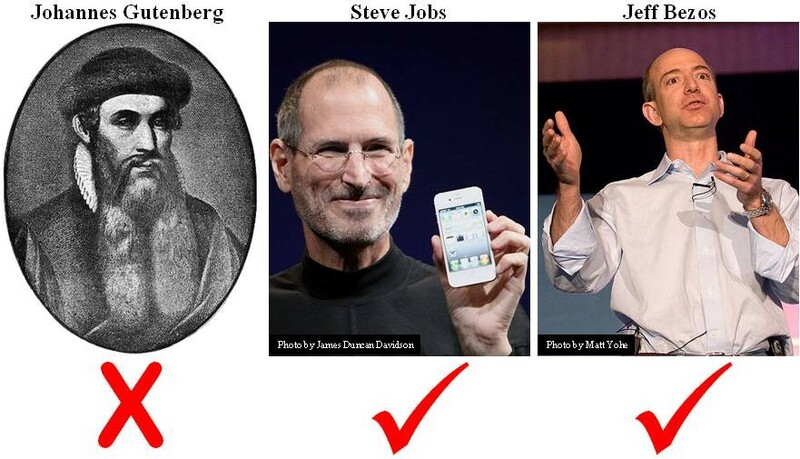 What impressed me even more is James's article on his top ten influential business books of all time in the same column. There he lists Sun Tzu's The Art of War (circa 500 BCE), Niccolo Machiavelli's The Prince (1532), Adam Smith's The Wealth of Nations (1776), and Ayn Rand's Atlas Shrugged (1957). He decided well to stretch from the usual places to find truly influential books from which readers can draw business lessons. His choice reminds me of a friend, Clark, a wise training and development professional, who invited to his New York City apartment Mike, the company president. After reviewing the expansive book collection in Clark's bookcase, Mike said, "I'm surprised that a training director doesn't have a single business book. Everything here is on history and literature." Clark replied, "And where do you think the business books get their ideas from? Why not go to the source?" Plato's Dialogues (circa 400 BCE) proves that the Socratic approach is timeless and that the method is just as important, if not more so, than the result. Marcus Fabius Quintilianus's Institutes of Oratory (95 CE) remains the premier book on the philosophy and practice of educating a young mind and body. Jean-Jacques Rousseau's Emile, or, On Education (1762), whose irresistible first sentence, "Everything is good as it leaves the hands of the Author of things; everything degenerates in the hands of man" establishes a great prelude for this inquiry into how to educate a person to survive the corruption inherent in society. Thorstein Veblen's The Theory of the Leisure Class (1899) lays out the immutable distinctions of social strata in economics to suggest that little changed between the feudal system and industrialized society--and his theory mostly holds true more than a century later in our electronic world. 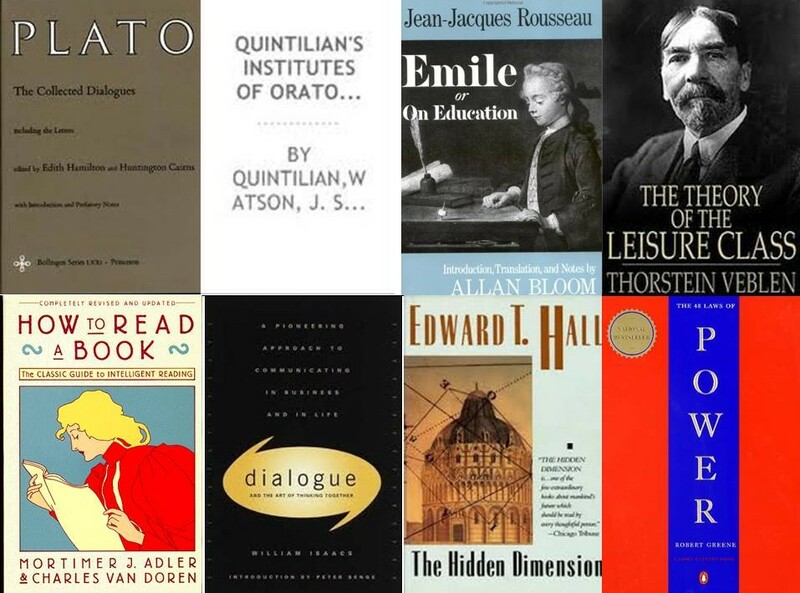 Mortimer Adler's How to Read a Book (1940), revised in 1972 with Carl Van Doren, lives up to its title by teaching how to get the most from any book-reading experience. Edward T. Hall's The Hidden Dimension (1990) reminds potently about how understanding cultural differences is essential to communication. William Isaacs's Dialogue and the Art of Thinking Together (1999) expounds on David Bohm's dialogue theory with practical workplace and daily living applications. Robert Greene's The 48 Laws of Power (2000) offers history as credible evidence for how fundamental tenets of power can be used to strengthen one's position or abused to destroy it. If you believe what you see and hear and read, then books in print are history. Another recent article about the demise of print and the vendors that sell it appeared in Knowledge@Wharton. Citing lost sales by Barnes & Noble Booksellers even following the bankruptcy of its biggest competitor, Borders Books, the story discusses how bookstores, among many other retail outlets, suffer from the "showrooming effect," the consumer practice of checking a product in one store and buying it elsewhere, usually online, at a better price. We have all seen store customers search for the best price with their smartphone in one hand and with the store product in the other. Perhaps we have done it ourselves. Teachers tend toward conservatism, many only grudgingly allowing new ideas into what they believe to be a time-tested curriculum. Those who take that attitude these days are fast becoming dinosaurs. Teachers, especially writing teachers, must allow their students to use technology. It has become the only way to write.